We expect Macau Legend and the Laos government to pay 100 percent of the proceeds into the escrow [in Singapore] as agreed,” John Sario, a Sanum Investments representative, told the Times, reacting to an announcement made by Macau Legend Development this week. Macau Legend had stated that it had entered into a USD42 million (approximately HKD326 million) project development agreement (PDA) with a company wholly-owned by the Ministry of Finance of the Lao People’s Democratic Republic, to purchase the Savan Vegas Hotel and Entertainment Complex, a full-service casino, hotel and resort located in Laos’ Savannakhet Province. According to Sario, “the Settlement Agreement between Laos and Lao Holdings/Sanum states that 100 percent of the sales proceeds will be paid into an escrow in Singapore,” which will be subsequently distributed in the proportions stated in the agreement (80 percent to Sanum and 20pct to the Laos government). Sario also clarified that Sanum Investments was not consulted prior to the sale to Macau Legend, stating that “Sanum and Lao Holdings were excluded from the sale process and have had no input to the decisions taken,” adding that this decision is also a “violation of our 2014 Settlement,” making this sale to Macau Legend illegal. Questioned about how the company is going to respond to the sale, Sario mentioned that “Sanum and Lao Holdings are currently evaluating the options,” but reaffirmed that the companies have no intention to “stand quietly while Savan and the slot clubs are sold for a price that is a fraction of the price they are worth,” he concluded. Sanum’s representative concluded by saying that “Sanum invested in Laos in good faith, and continues to hope that Laos will honor the commitments it has made to us and other foreign investors so that the country will continue to develop,” underscoring that development and progress can only be secured through true justice and the rule of law. 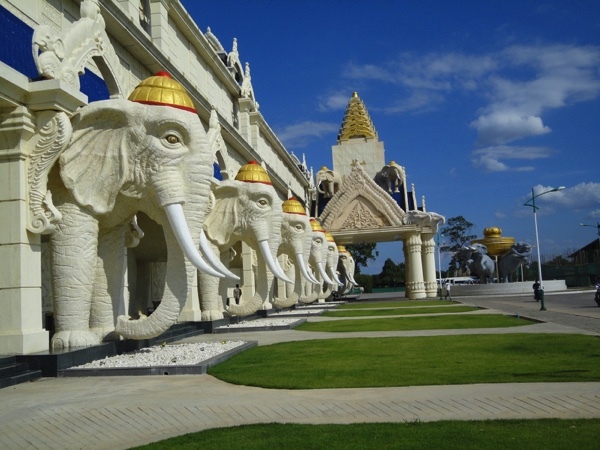 Located in Laos’ Savannakhet Province, the Savan Vegas Hotel and Entertainment Complex occupies 50 hectares of land, which currently features gaming facilities with 92 tables and 493 slot machines; a 476 room hotel and convention center, restaurants, bars and other dining, recreational and retail shopping facilities. The PDA indicates that Macau Legend is to have an initial term of 50 years to operate the casino, which may be extended for an additional period up to another 49 years. In a May 5 statement, Lao Holdings N.V., the parent company of Sanum Investments Limited, stated that it has filed three legal suits against Laotian authorities for violating the 2014 settlement agreement reached by both parties, which had stipulated the sale of the Savan Vegas Hotel and Casino and other assets to be at the maximum estimated value to benefit all parties. “These actions have been taken in direct response to the expropriation and planned sale of Sanum’s gaming and hotel complex located in Savannkhet, Laos,” the statement read.